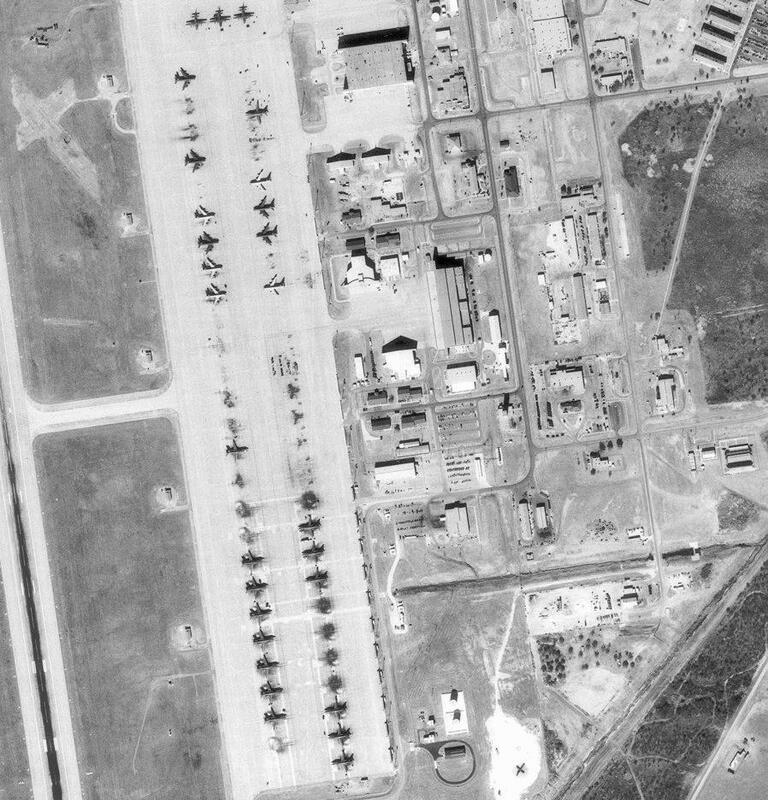 Dyess AFB is a 6,409 acre base with over 13,000 military and civilian people. 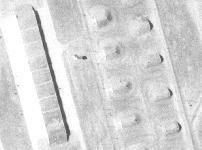 It is home to the 7th Bomb Wing, which consists of four groups. Two squadrons, the 9th and 28th Bomb Squadrons, fly the B-1B. In addition, the 28th Bomb Squadron is the Air Force schoolhouse for all B-1B aircrew members. The base is located in the southwest corner of Abilene, TX and is about 200 miles west of Dallas. The base employs more than 5,000 people, making it the single largest employer in the area. The base is named after Lt. Col. William Edwin Dyess, a native of Albany, Texas. Dyess AFB has nearly 200 facilities on base, plus 988 units of family housing, and encompasses 6,117 acres of land. The base has a total economic impact of nearly $310 million yearly on the local community. Originally Abilene Army Air Field, this World War II vintage fighter pilot training facility was turned over to the City of Abilene at the end of the war. After an year absence, the military returned in 1953 when SAC assumed command of the newly dedicated Abilene AFB. 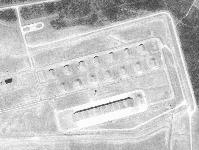 Redesignated Dyess AFB in 1956, the facility hosted SAC bombers and supporting aircraft. World War II saw the blossoming of "tent camps" throughout the United States and Abilene was no exception. 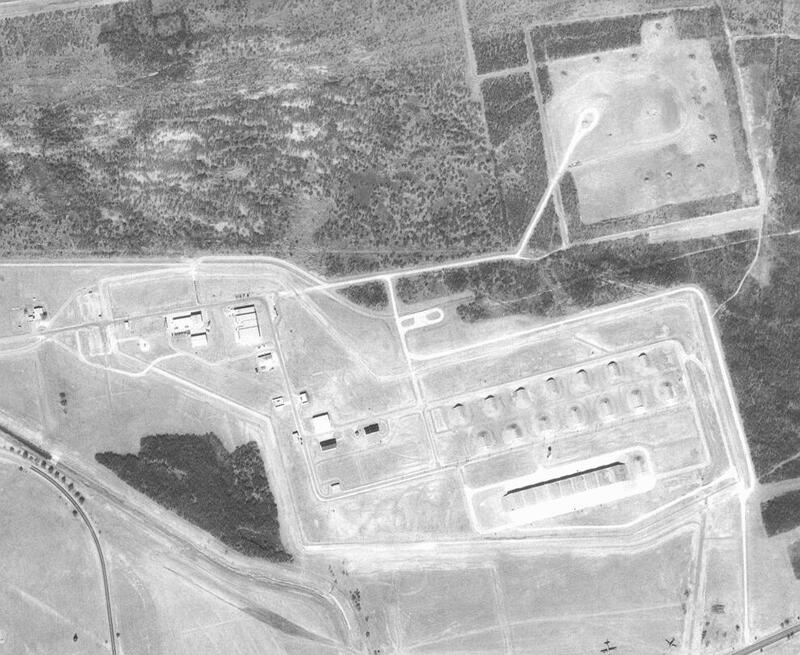 Camp Barkeley, a few miles south of Abilene, became an Army infantry training camp for thousands of recruits. Army inductees were trained for various duties while there. Army Air Corps cadets learned to fly trainers and P-47 Thunderbolt fighters while stationed at Tye Army Air Field, a Camp Barkeley adjunct. 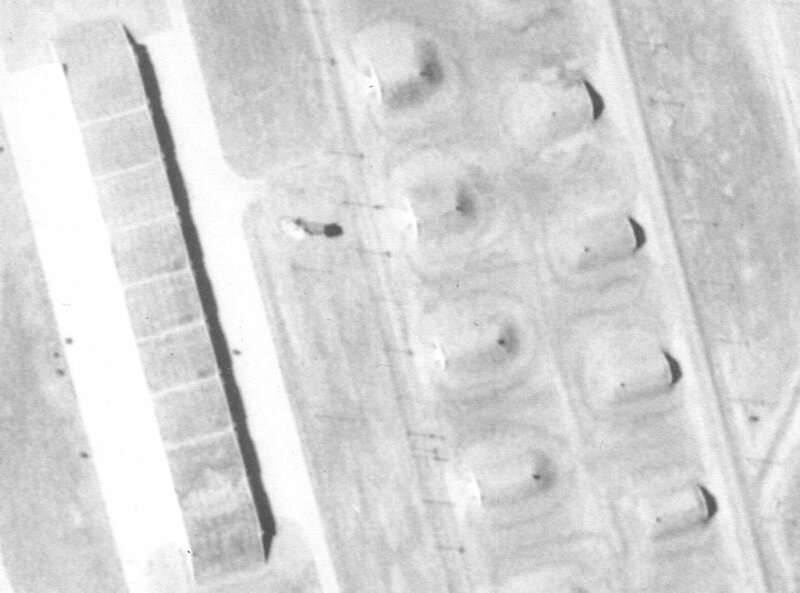 When both installations were closed at the end of WW II, the deed to Tye Army Air Field was sold to Abilene for $1. Fifteen hundred acres of the former Army Air Field were used by the Texas National Guard as a training facility. Following the outbreak of the Korean crisis, Abilenians called for a military installation. Armed with 1,500 acres and determination, civic leaders besieged Washington, DC and Pentagon officials with their request for a military installation. Proving beyond a shadow of a doubt they meant business, Abilenians raised $893,000 to purchase an additional 3,500 acres to provide a home for the military base they hoped would be in Abilene. The local community was interested in providing for the Air Force an exemplary relationship between the community and an Air Force base. 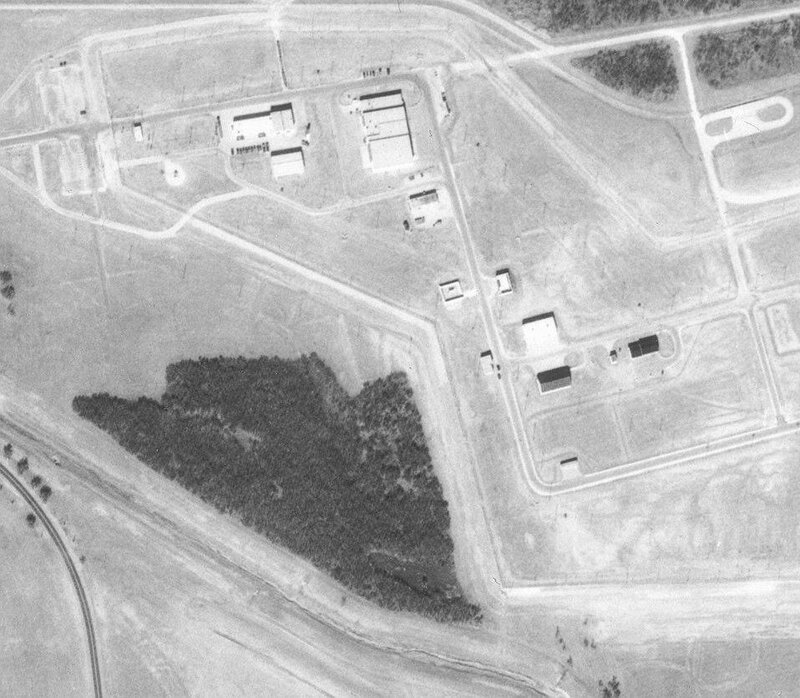 After initial ground-breaking ceremonies on Sept. 24, 1953, construction of the base progressed rapidly. 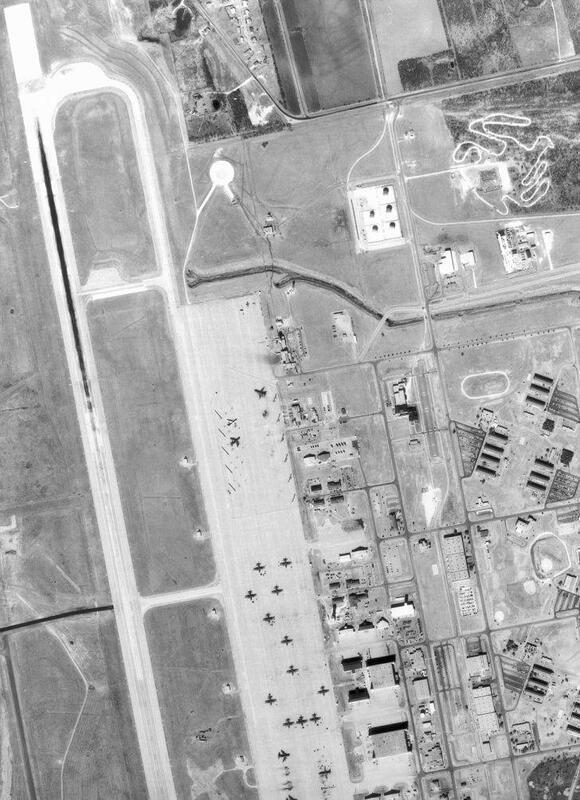 Known as Abilene Air Force Base, the Strategic Air Command base was dedicated by the city fathers at the end of Abilene's Diamond Jubilee April 15, 1956. Abilene Air Force Base was dedicated on April 14, 1956. By mid-day some 40,000 people had visited the new base. An open house was supposed to end at 3 p.m., but at 4 p.m. there are still block-long lines of people to see the insides of airplanes. Highlights of the day included a performance by the Air Force Thunderbirds, flying F-84s; a KC-97 refueling a B-47 in flight; and low-level passes by B-36s and B-47s. Gen. Francis Griswold, vice commander of the Strategic Air Command, told the crowd, "What we see around us today is a result of your vision and your diligence." On 06 December 1956 the base was renamed Dyess AFB in honor of Lt. Col. William Edwin Dyess. On Feb. 8, 1961, Dyess Air Force Base became home to the Tactical Air Command's 64th Troop Carrier Wing (Medium) flying the C-130 Hercules. Initial responsibility for constructing the 12 Atlas F silos fell on the Corps of Engineers Fort Worth District. The Fort Worth District also received responsibility for the nationwide procurement of the Atlas F's propellant loading system. With the formation of the Corps of Engineers Ballistic Missile Construction Office (CEBMCO) in 1960, the Fort Worth District was relieved of silo construction oversight. On May 26, 1960, six bids were opened at Abilene, Texas. The low bid of $20 million had been submitted by a joint venture composed of H.B. Zachry Company, and Brown and Root Inc. Construction commenced on June 7, 1960. The locations of the 12 lift-launchers were Abilene, Albany, Clyde, Denton County, Oplin, Lawn, Bradshaw, Winters, Shep, Nolan, Anson, and Corinth. Construction at Dyess proved to be an exception in that the project was completed on time. There were no work stoppages due to labor unrest. There were 3 fatalities and 33 disabling injuries associated with this project. 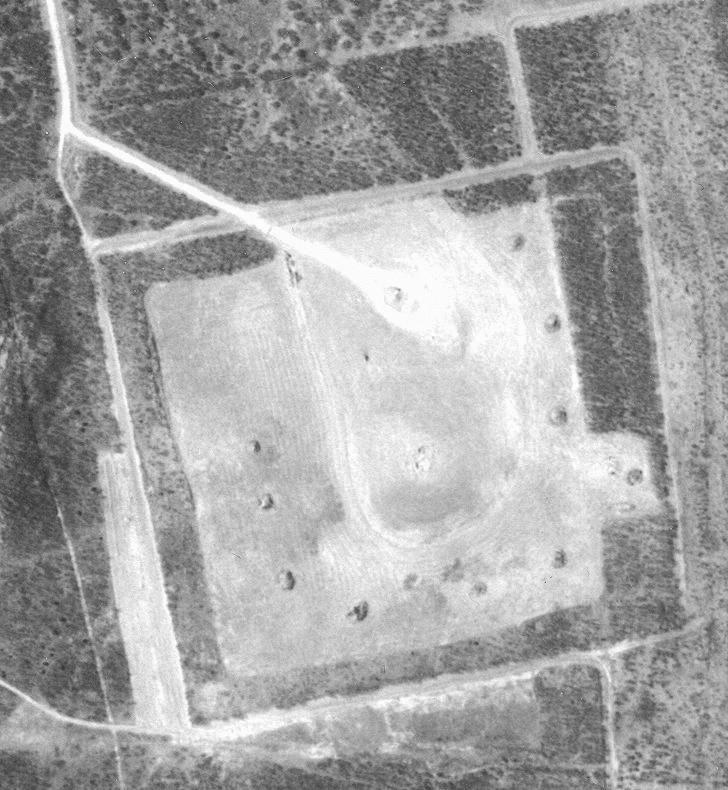 As construction continued, the Air Force activated the 578th Strategic Missile Squadron on July 1, 1961. 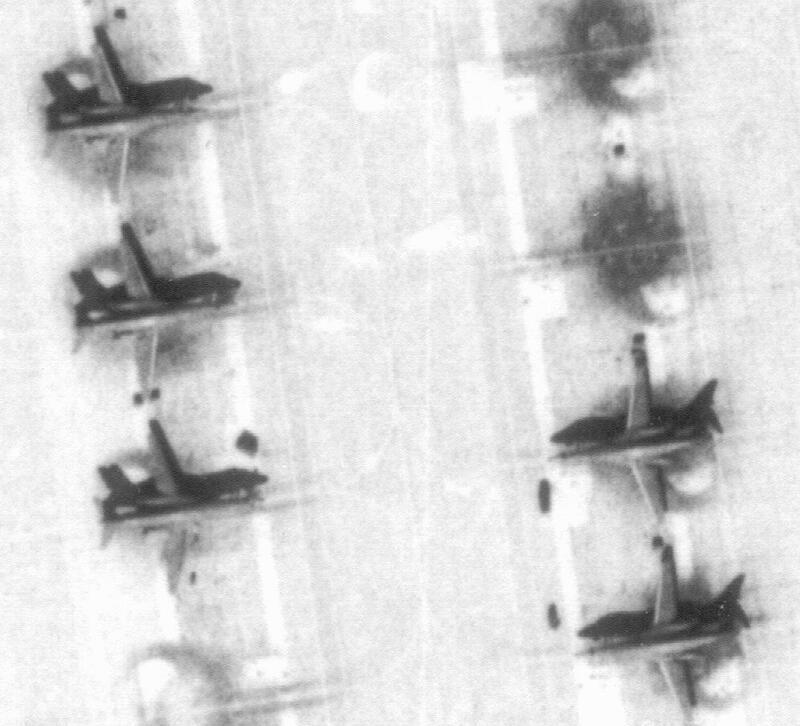 Becoming operational in 1962, the 578th and its 12 missiles were all placed on alert status during the Cuban missile crisis. From May 28 through June 2, 1963, the 578th Strategic Missile Squadron underwent the first Operational Readiness Inspection (ORIj for an Atlas F missile unit. On May 16, 1964, Defense Secretary McNamara directed the accelerated phaseout of Atlas and Titan I ICBMs. On December 1, 1964, the first Atlas F missile at Dyess was removed from alert status ahead of schedule to preclude costly maintenance expenditures. The squadron was deactivated on March 25, 1965. President Reagan announced on Dec. 21, 1983, that Dyess AFB would receive the Air Force's first operational B-1B's. The arrival ceremony June 29,1985, for the Star of Abilene included more than 50,000 people, most from Abilene, Texas. Secretary of Defense Recommendation: Close Ellsworth Air Force Base, SD. The 24 B-1 aircraft assigned to the 28th Bomb Wing will be distributed to the 7th Bomb Wing, Dyess Air Force Base, TX. Realign Dyess Air Force Base, TX. The C-130 aircraft assigned to the 317th Airlift Group will be distributed to the active-duty 314th Airlift Wing (22 aircraft) and Air National Guard 189th Airlift Wing (two aircraft), Little Rock Air Force Base, AR; the 176th Wing (ANG), Elmendorf Air Force Base, AK (four aircraft); and the 302nd Airlift Wing (AFR), Peterson Air Force Base, CO (four aircraft). Peterson Air Force Base will have an active duty/Air Force Reserve association in the C-130 mission. Elmendorf Air Force Base will have an active duty/Air National Guard association in the C-130 mission. Secretary of Defense Justification: This recommendation consolidates the B-1 fleet at one installation to achieve operational efficiencies. Ellsworth (39) ranked lower in military value for the bomber mission than Dyess (20). To create an efficient, single-mission operation at Dyess, the Air Force realigned the tenant C-130s from Dyess to other Air Force installations. The majority of these aircraft went to Little Rock (17-airlift), which enables consolidation of the active-duty C-130 fleet into one stateside location at Little Rock, and strengthens the Air National Guard squadron to facilitate an active duty association with the Guard unit. 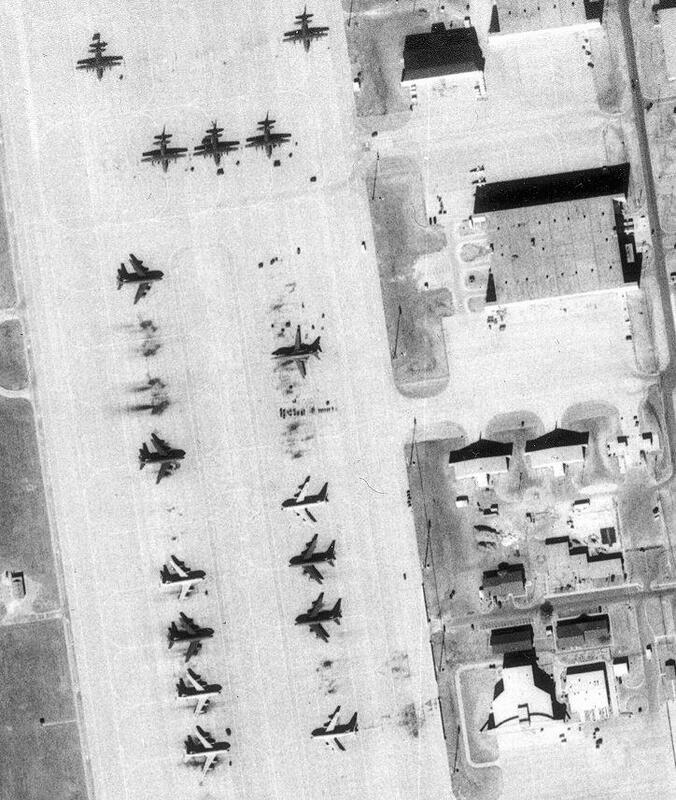 The other C- 130s at Dyess were distributed to Elmendorf (51-airlift) and Peterson (30-airlift) to facilitate active duty associations with the Guard and Reserve units at these installations. 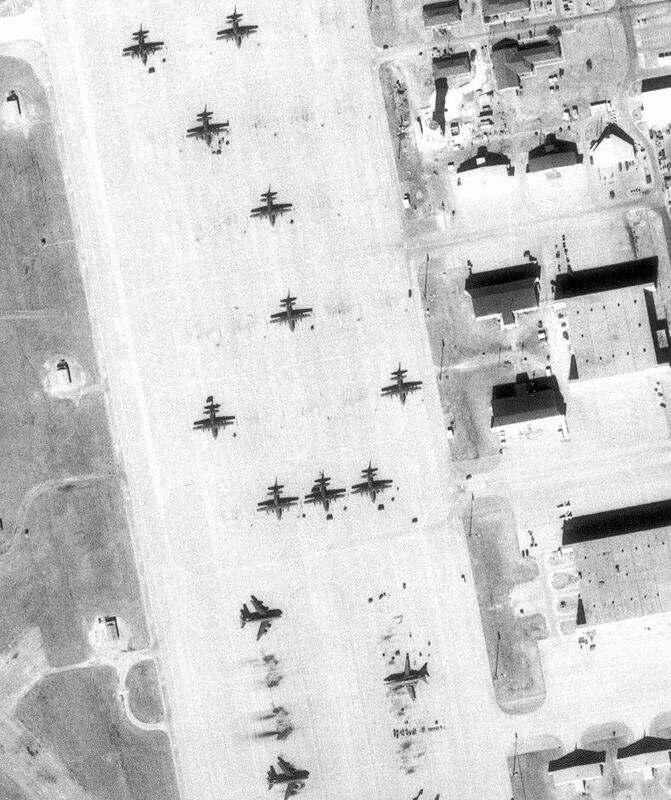 Community Concerns: The Abilene, TX, community asserted DoD's recommendation to relocate their C-130s to bases with lower military value scores substantially deviated from the selection criteria. Further, the DoD proposal ignores the operational, training and maintenance efficiencies attained at Dyess with its 29 C-130H models. Last, it would cost more in military construction funding to relocate their aircraft to Little Rock than to keep them at Dyess along with the additional B-1s the base is slated to receive, thereby violating criteria five. Commission Findings: The Commission also found the cost for military construction at Little Rock Air Force Base was significantly underestimated and therefore the military construction costs associated with this recommendation were much higher. 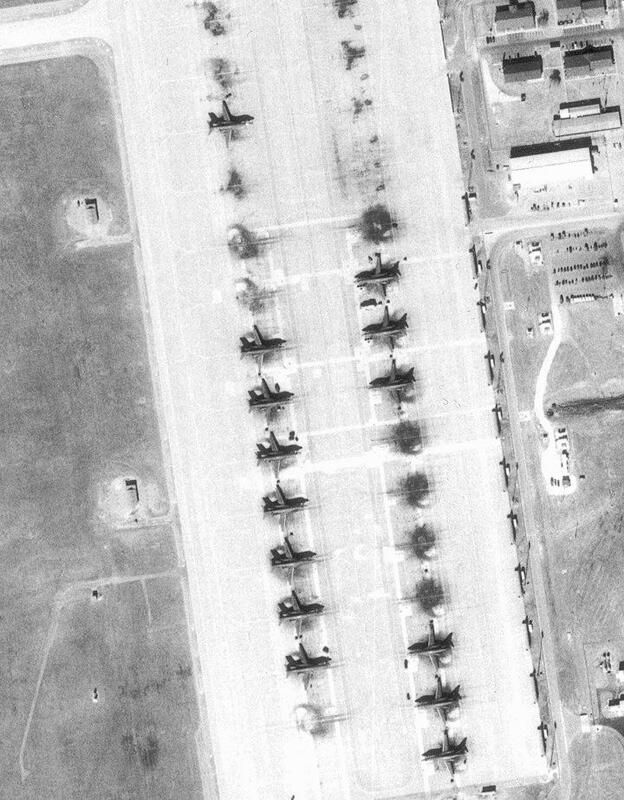 Further, the Commission found that the military personnel movement linked to the distribution of C-130s from Dyess Air Force Base, TX to Little Rock, AR, Elmendorf Air National Guard, AK and Peterson Air Reserve Station is inefficient because it resulted in a net increase in personnel managing and maintaining the C-130s. Additionally, the Commission found that protracted litigation in the primary airspace training range at Dyess could potentially impact readiness to the B-1 fleet if the temporary restriction were made permanent. Last, the Commission found that Ellsworth is the second largest employer in South Dakota and the closing of the base will have significant economic impact on the community. This impact would be significantly higher than DoD's average impact on the community. Commission Recommendations: The Commission found that the Secretary of Defense deviated substantially from final selection criteria 1, 2, 3, 5 and 6, and the Force Structure Plan. Therefore, the Commission has rejected the recommendation of the Secretary.